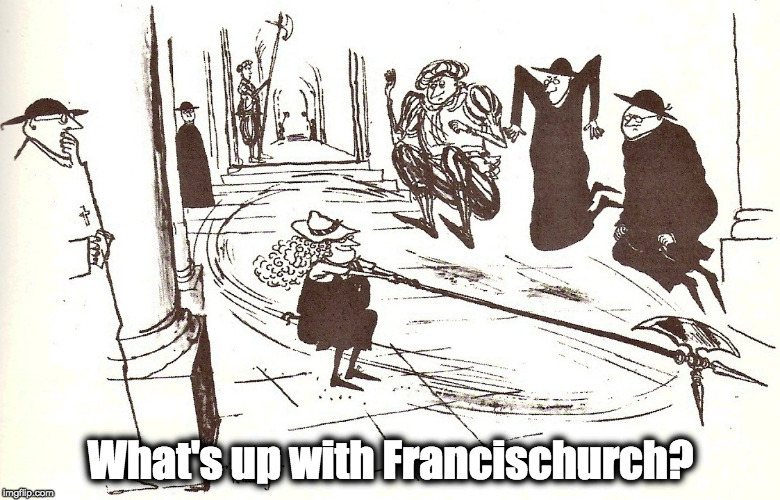 Breeves for Nuns: Update – What's Up With Francis-Church? UPDATE January 26: That’s six. Well, that was amazing. 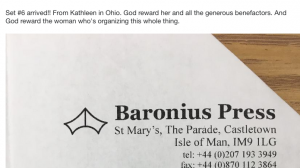 About 50 people responded since we started January 12th, and there have been a LOT of breviaries purchased and shipped by Baronius Press, plus a few previously-owned copies, sent to the monastery. So, well done youse!! I think we’ve got the full number filled, but as of today only five have actually arrived at the destination. This isn’t cause for alarm, since some have been shipped from the UK and some from the US, and even a couple coming from further afield like New Zealand and Germany. At the moment, because I was personally only involved in buying one of the sets I don’t actually know how many are on the way, (though I could probably spend an hour or so sifting through the emails to figure it out). So I suggest we hold for a bit. We’ll give it two more weeks and see how many turn up. The shipments, whether from the publisher or just from private donors, have had tracking numbers attached, so we aren’t in danger of losing any. Meanwhile, I can report that the nuns are busy learning Chant so as to be ready for when they start to use the Breviaries in choir. 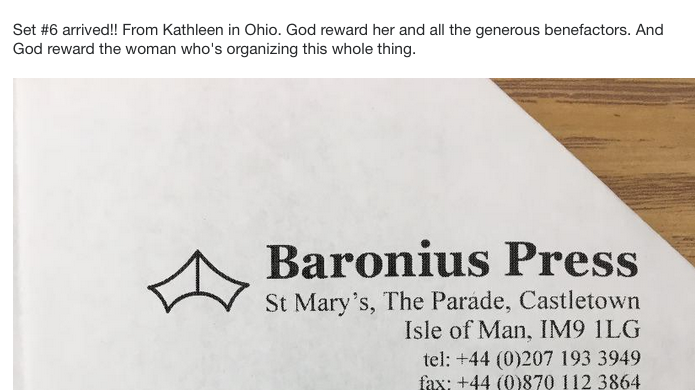 Guys, this really is an accomplishment, so accept the thanks of the sisters that have been passed on to me, and be assured that they are going to be praying for each person who has contributed.